Through Sacred Journeys, we have been facilitating Sacred Journeys to the Ecuadorian Andes, Coast and Amazon rain forest since 1997. 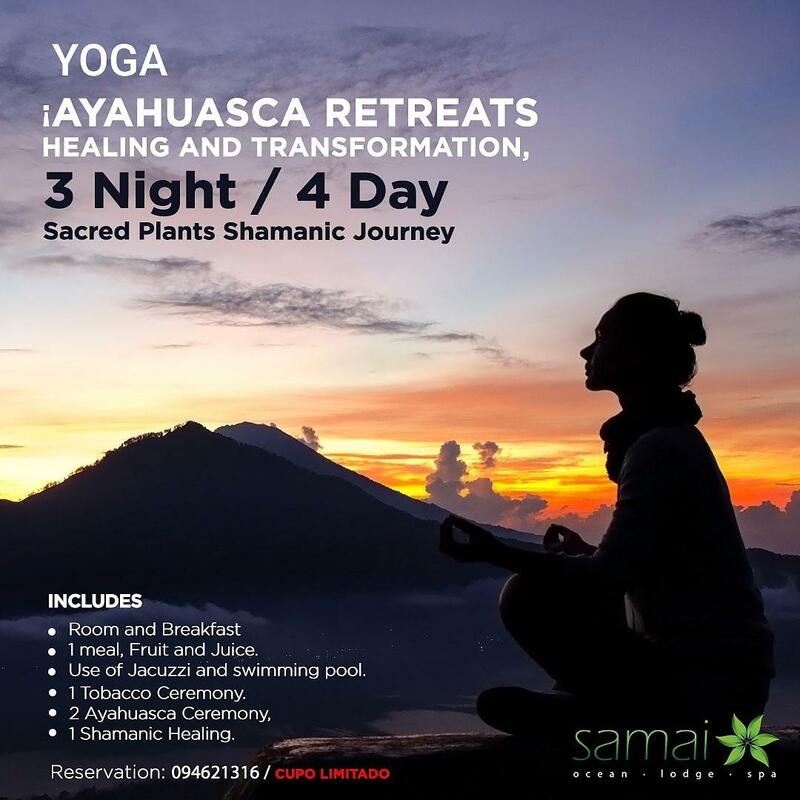 Introducing Amazonian and Andean healing techniques through first hand experiences with the plant medicines, Ayahuasca and Tobacco. Our journeys are carefully planned to take you on a quest back in time to places where the culture, traditional medicine ways and sacred plants ceremonies are still practiced as they have been for hundreds of years and our retreats have been highly experiential and enjoyable and bring us to deeper layers of the self, in order to release blockages, stimulate our innate healing energy and reconnect with the higher self and Nature. Our ceremonies are combining silence and sacred Icaros , to honor healing power of nature and the inner healing power of each participant. The ceremonies take place in the ¨Alishina Wasi (Vision House) at Samai Lodge a eco tourism project desalinated to healing and transformation through a healthy vacation, this oasis is nestled between tangerine trees and a rain forest canopy on the Cordillera Chongon Colonche overlooking the Pacific Ocean in Ecuador South America. The ceremonies will be guided by Ed and Tania who have been holding shamanic ceremonies on their land for more than 16 years. Contact us and we create your journey with your favorite schedule !!! Shamanic Healing Ceremony (1 hour) To Prepare for Shamanic journeys. Facilitator support, Shaman or alternative medicine person. Includes also: Accommodations, room, breakfast & 1 meal (lunch), tax. Fruit, water, tea or coffee. To communicate any diet, health restrictions or special personal requirements.